Don't forget to fill out the Staff Registration Form and have EVERY volunteer fill out the Application for a Background check. It's a requirement of the Indiana Conference. The purpose of having a Pathfinder/Adventurer Club is to lead its membership into a growing, redemptive relationship with Christ, to build its membership into responsible, mature individuals and to involve its membership in active selfless service. All Pathfinder/Adventurer leaders are Christians, working hand in hand with parents, teachers, and pastors to provide optimum opportunities for Christian development. 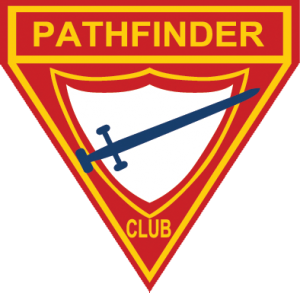 The Pathfinder/Adventurer Club is an extension of the home, school and church. It is a laboratory where growth and learning flourish. The Pathfinders/Adventurers involve youth who have a desire for group activities ranging from community to world mission projects. Nature, outdoor and camping activities, AY/Pathfinders class curriculum and AY Honors are a part of the total experience. Above all, Pathfinders and Adventures give youth an environment in which to actively expand their personal experience with Christ. We, the undersigned, have read, understand, and are in full agreement with the above Philosophy of The Pathfinder/Adventurer Organizations and we agree to support our club with the means, which the Lord has given this church. This includes finances, staff volunteers, a meeting place, transportation for outings, and any other needs as may arise in the fulfillment of this ministry. We plan to assist and support the work of the Pathfinder and Adventurer ministry in Indiana Conference and around the world.